Surveys. A useful way to get feedback from customers – definitely. A way to grow your small business – really? But it’s true, surveys have the potential to be so much more than a simple feedback form. At SocialSprinters, we understand that with the right tools and strategy, surveys can help you grow your business in a multitude of ways. Our Survey Form App makes it so easy to launch your own survey and see results in your business’s growth. 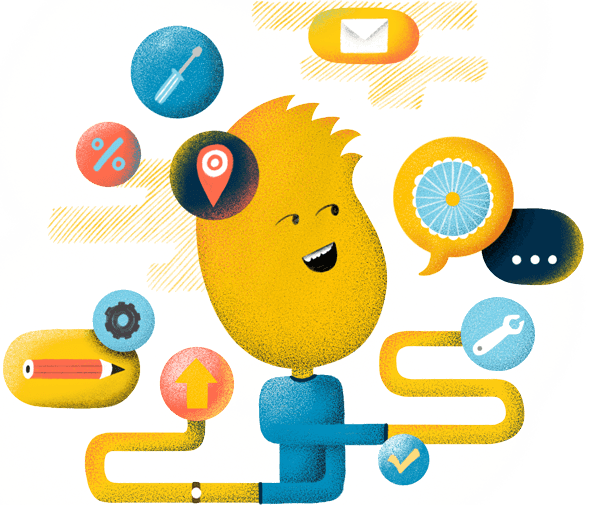 A larger email database will allow you to get in touch with customers in the future to send promotions, share products and update them on your business news. When customers take part in your survey, they will enter their email address which you can use to keep them engaged in the future. Sometimes it’s difficult to know what your customers really think about you. Even if you have an active customer service department, the customers who often get in touch are either very happy or very disappointed with your business. Therefore you may not know what the average customer thinks. Surveys encourage these customers, who otherwise may not have considered getting in touch, to provide feedback on your products and services. One of the most useful things surveys can do is give you information about what your market prefers or what it considers is most important. Asking questions indirectly related to your competitors’ activities can help you understand where your business is weak in relation to theirs. Surveys can also help you plan future products and services by asking questions about what improvements customers would like to see. Take your market research one step further and ask your customers to help you make decisions for your business. Whether it’s choosing a new logo or deciding which popular discontinued product should be brought back, customers love to feel involved and listened to. To run a successful business, you need people to be happy inside as well as outside. Consulting your employees and giving them an opportunity to provide feedback creates a healthy atmosphere of accountability. It is also more likely that any issues will be addressed earlier, ensuring that your employees remain happy at work and help you grow your business. 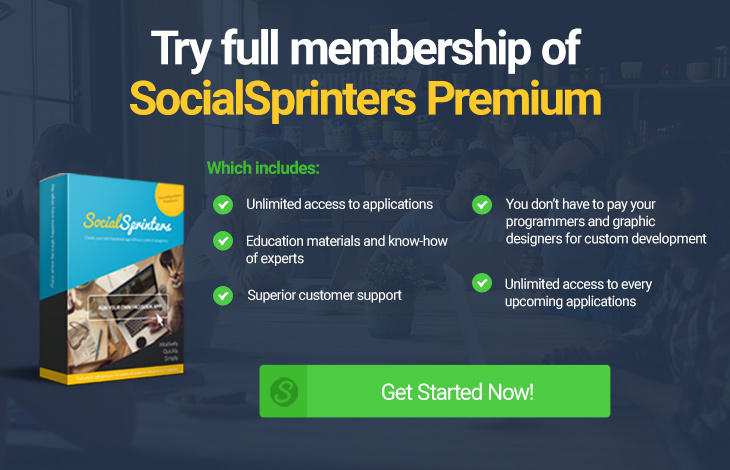 Now that you know how useful surveys can be, it’s time to build your own with the SocialSprinters Survey Form App. The App is fully customizable. You can arrange any number of questions and allow for a variety of different answers. Plus, the background can be changed to suit your brand. All you need to get started is admin access to your Facebook page and your chosen background. Create a survey and grow your email database, improve customer experience, and understand your market better. Set-up takes barely any time and you can leave the survey active on your Facebook page for months. The results could really impact the future of your business and it’s so easy to get started- so why not give the Survey Form App a go today?